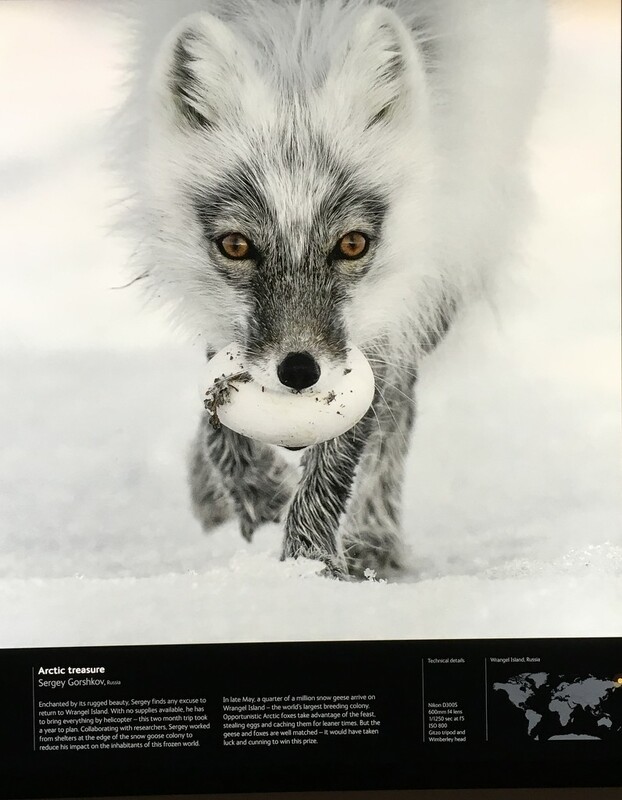 Thought I'd head to Toronto to see the Wildlife Photographer of the Year Exhibit at the Royal Ontario Museum. There were 100 photos each giving the story and local behind each shot. They also provided the technical details. The exhibit was spectacular and I highly recommend it if it travels to a city near you. I couldn't isolate a favourite but here's one that really caught my attention. It's an Arctic Fox stealing a Snow Goose egg. It's a fantastic capture. Must have been very interesting viewing the exhibit. What a delight! We recently went to a photography show, and it was so memorable in so many ways. Fabulous shot. I hope to get to the exhibition when it is in Australia. Oh wow awesome photo.............sounds like a great show! Terrific capture of this wonderful photo...I would love to see this exhibit. @radiogirl I think it's on until March 18 if you're in TO. @onewing You will enjoy it.